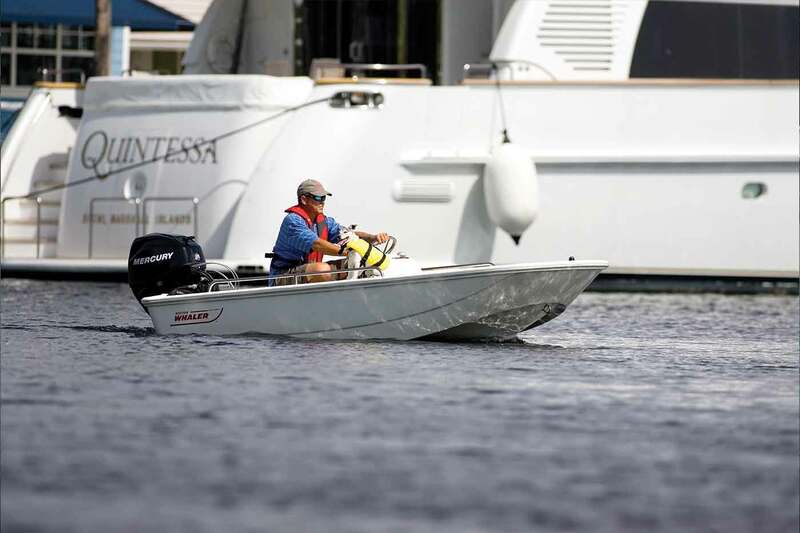 Nimble and lightweight, the 110 Sport® is a skiff that capably handles a variety of uses, including as a fishing boat, utility boat or yacht tender. Stylish, high-end touches round out a premium runabout experience in a very manageable size for your every adventure, inspiring confidence with every touch and turn. 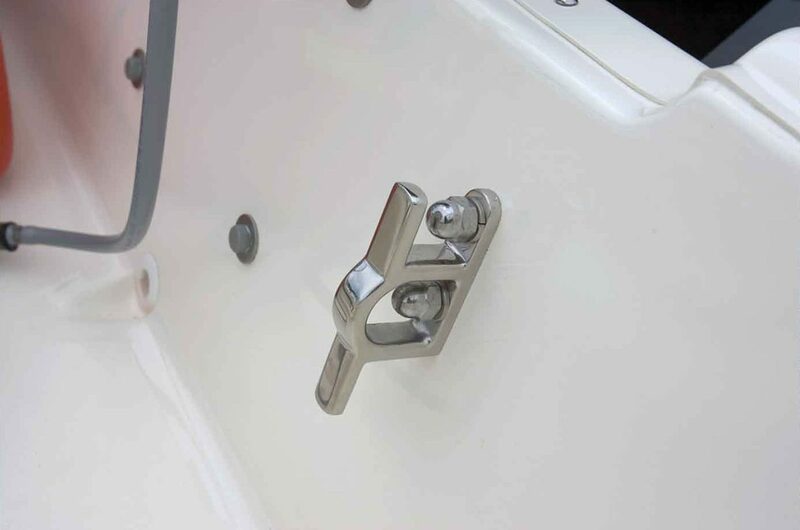 Stainless-steel side rails for added safety and security. 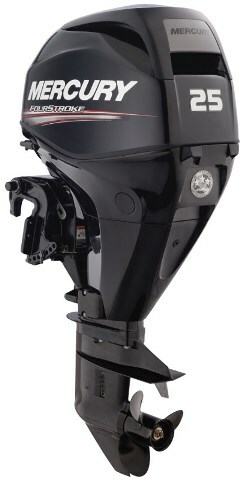 Removeable fuel tank and a 25-hp Mercury® engine power family fun and make refueling easy. 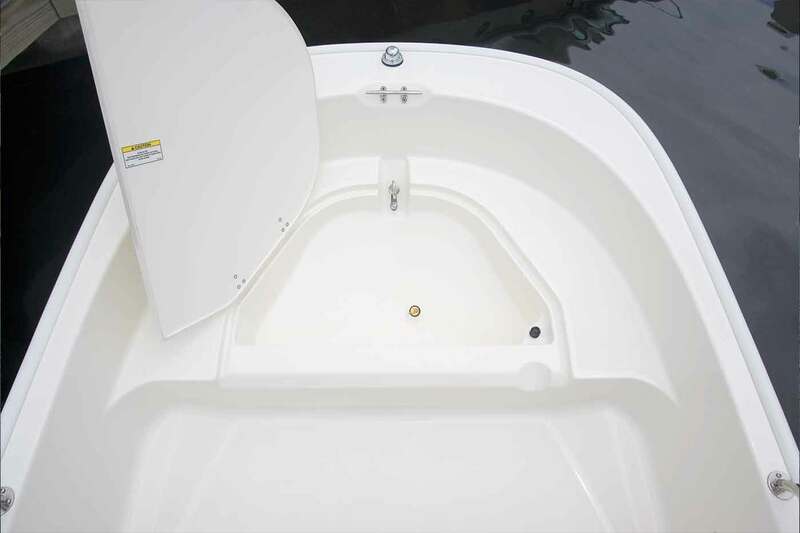 Bow locker with fiberglass cover and overboard drain offers multipurpose storage. 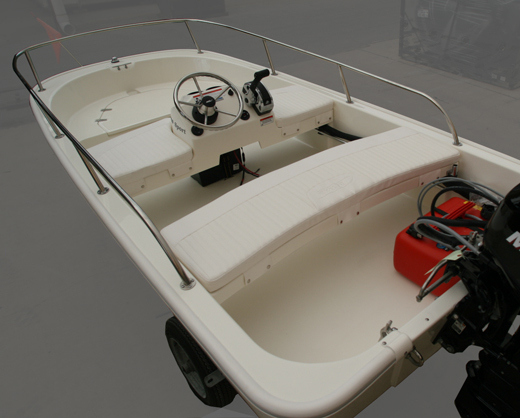 Nimble and lightweight, stylish and capable, and very manageable for every adventure or as a yacht tender. 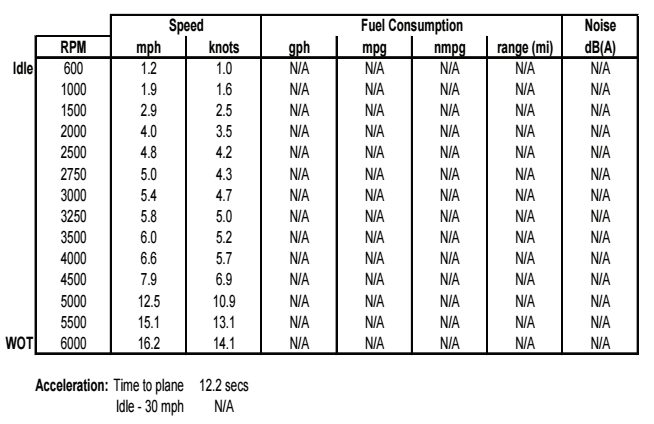 Option descriptions below may not list full details and compatibilities. For complete descriptions please visit the Build Your Whaler feature. Option images may not reflect the most current design/color/model. Please check with your local dealer. Looking for something that isn't here? 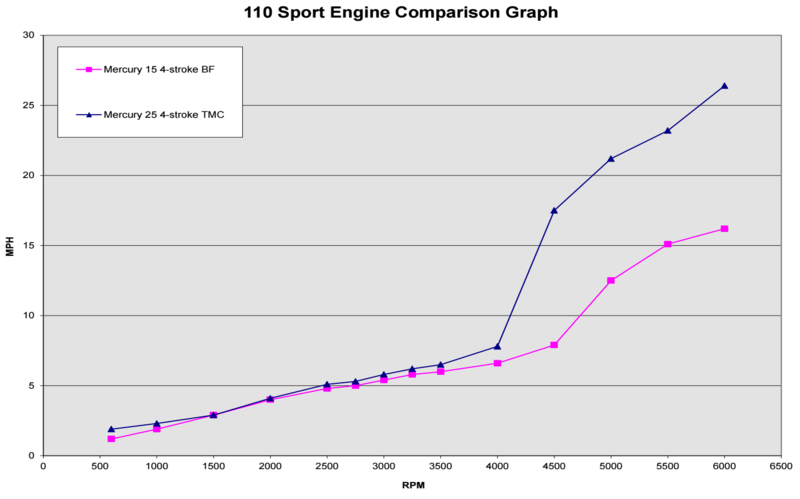 Visit our Resources section for more information on specs and parts. 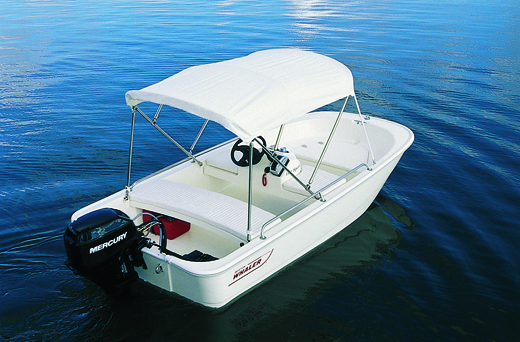 One of the most exciting things about buying a Boston Whaler is deciding just how you’d like it configured. 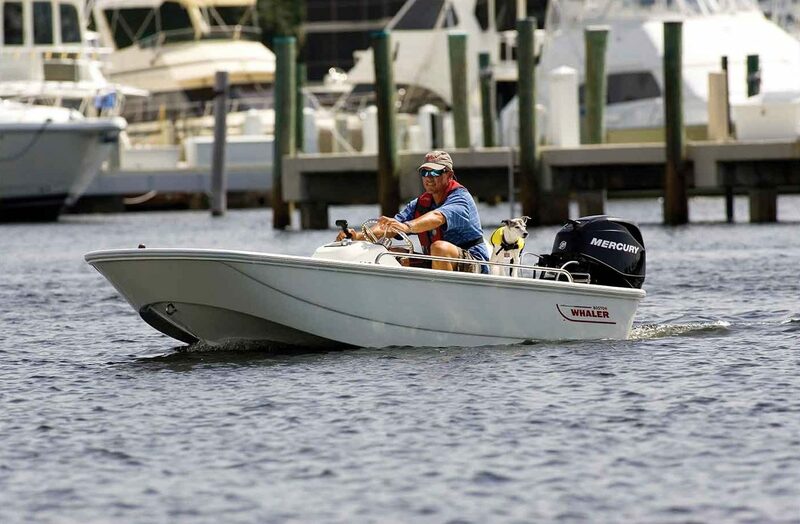 Use the Build Your Boston Whaler tool to explore colors, graphics, power and other options to see exactly what your dream Whaler looks like and costs before placing your order. And if you don’t like one of your choices, just change it. 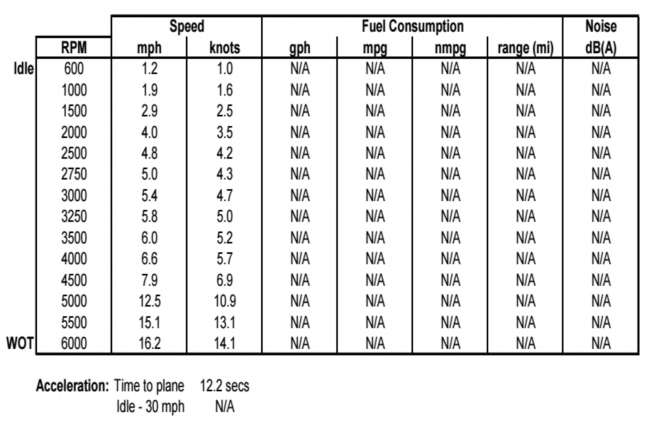 A running total tells you what your Whaler costs as configured. It’s useful and informative, and a lot of fun! 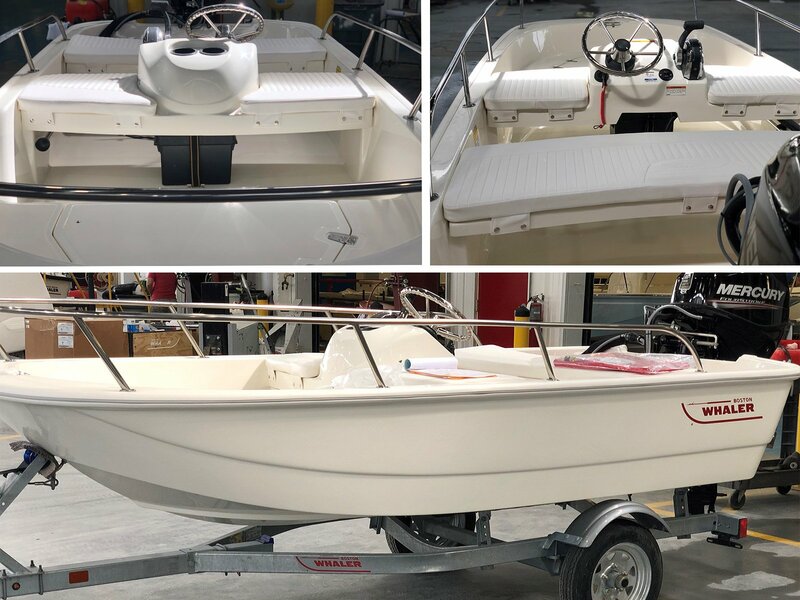 We know you’re ready to see this boat in action, and we’re here to help! If you’ve already decided on your model, fill out our request a quote form and let our qualified dealers get you started. Still want to play around with crafting the perfect boat? 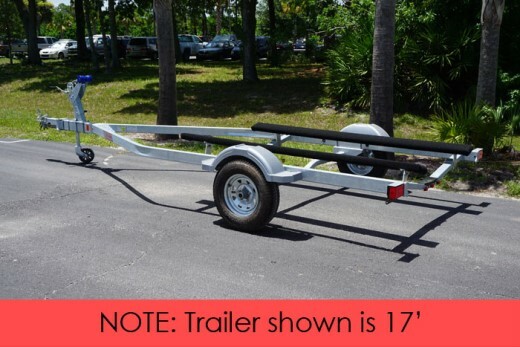 Take a walk through our interactive boat builder tool to get everything just right. 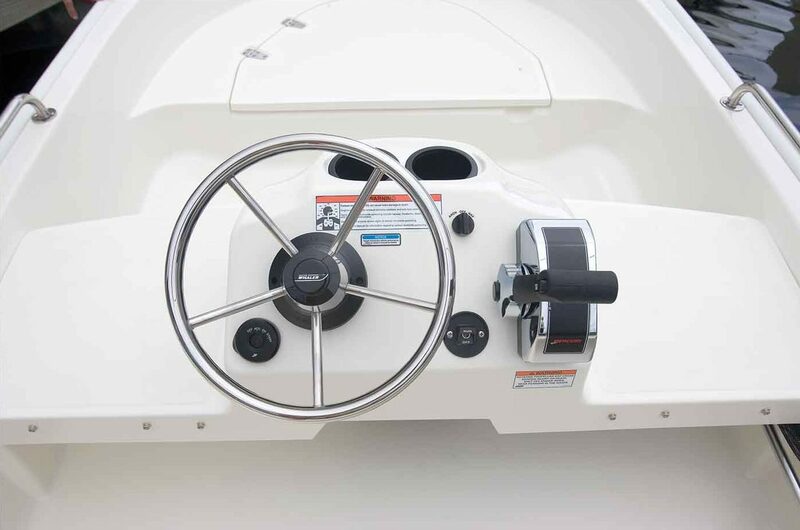 Or, if you’re ready to get on a boat and test it out first-hand, locate your closest dealer and check out their inventory onsite. 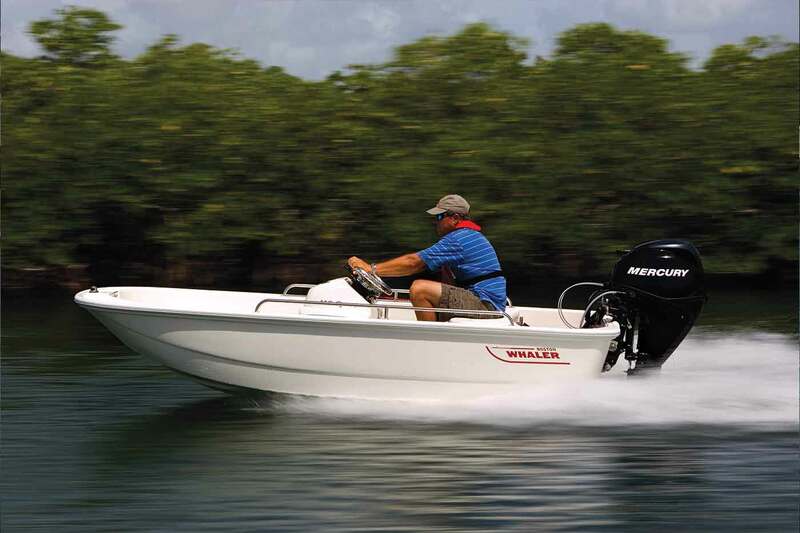 Go ahead and follow your dreams, owning a Boston Whaler is just a click away. 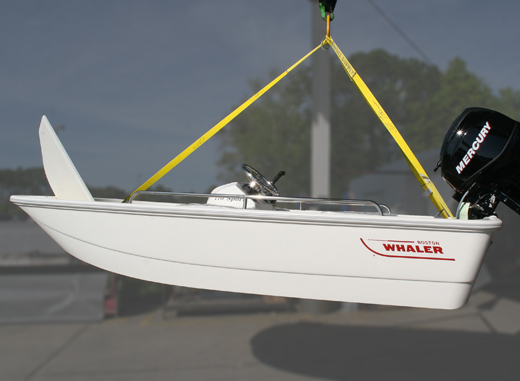 To request a quote on a Boston Whaler, please fill out the form below. 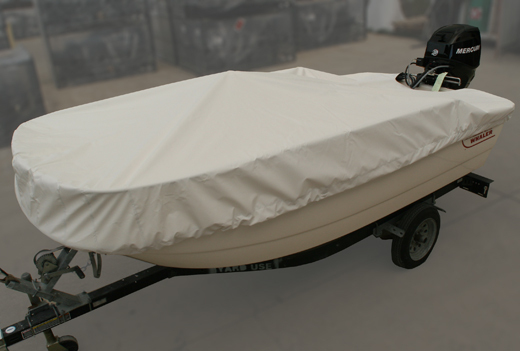 Your quote request will then be sent to your local Boston Whaler dealer, and they will respond back to you as quickly as possible.